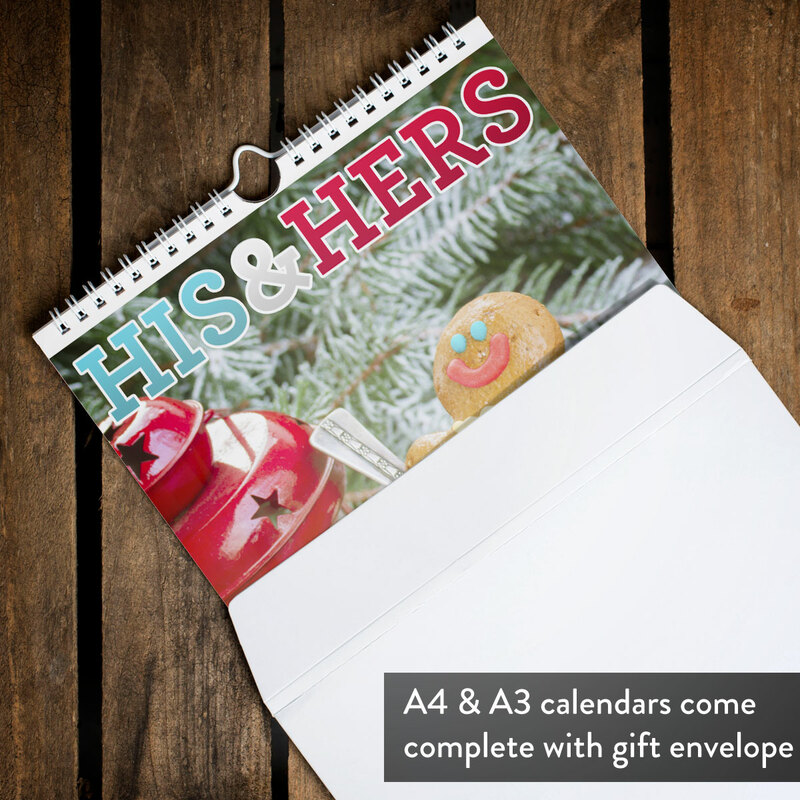 If their diaries are jam packed with coffee catch-ups with friends, work meetings and birthday meals with the in-laws and they're always accidentally double booking, we've got just the gift! 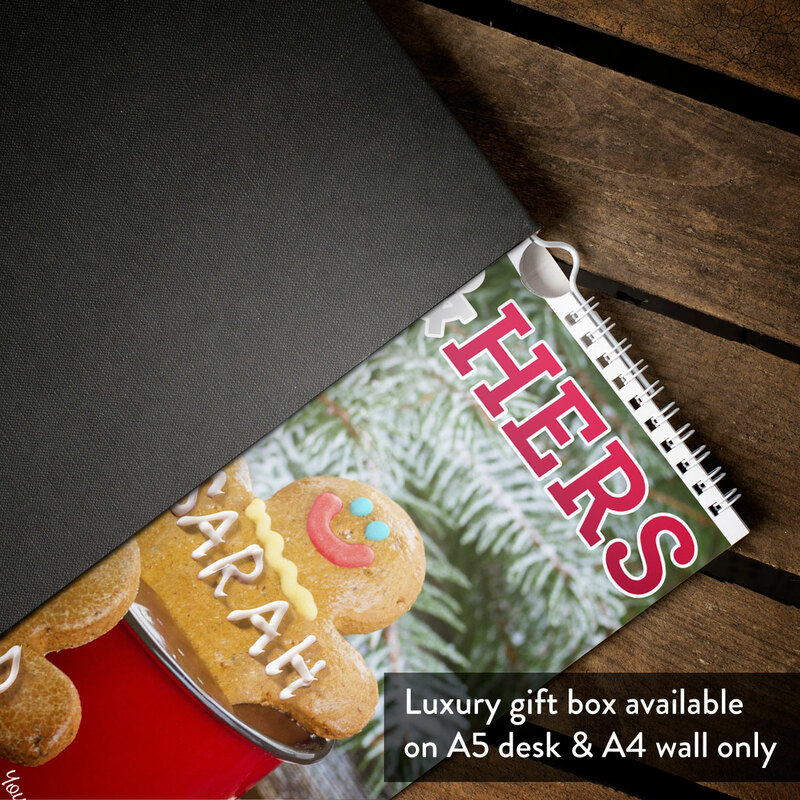 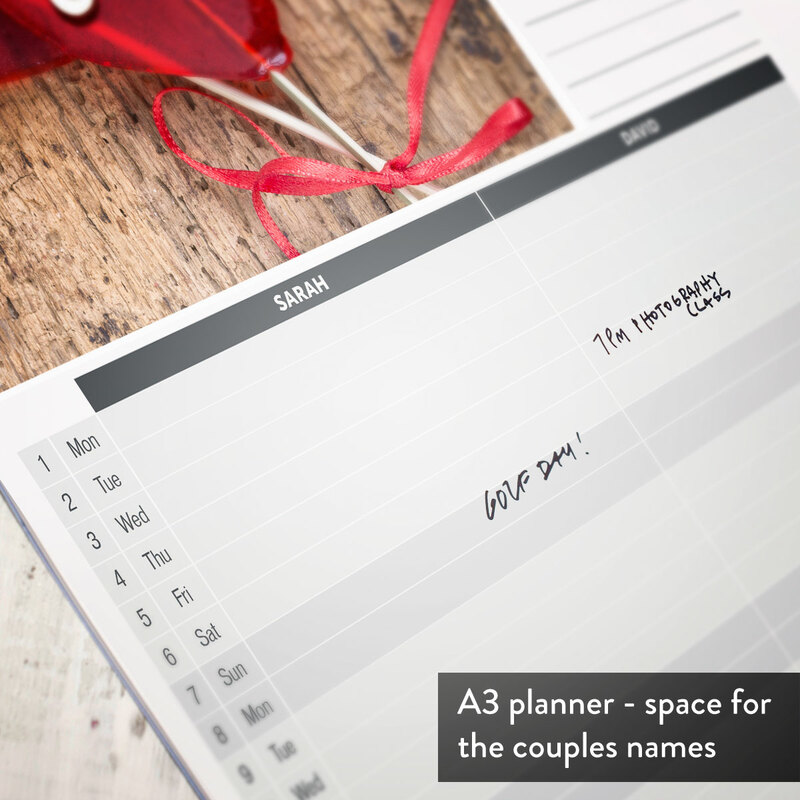 For a couple whose schedules are hectic to say the least, our personalised his and hers calendar is sure to help them stay organised! 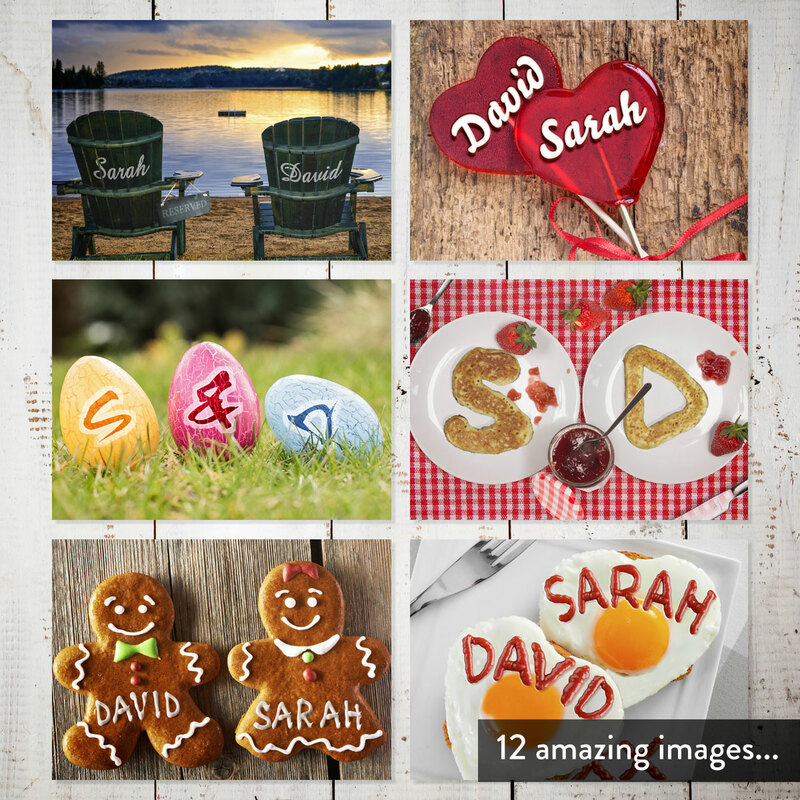 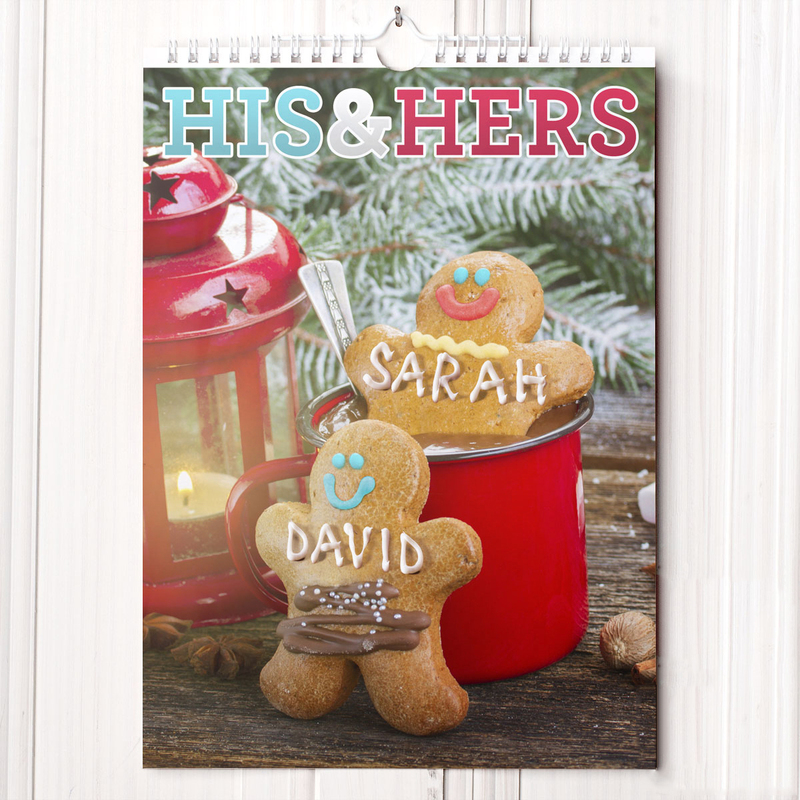 Featuring 12 full colour images of gingerbread men, love heart lollipops, pancakes, deck chairs and much more, you can personalise the calendar with the names of your love birds to be incorporated into each image. 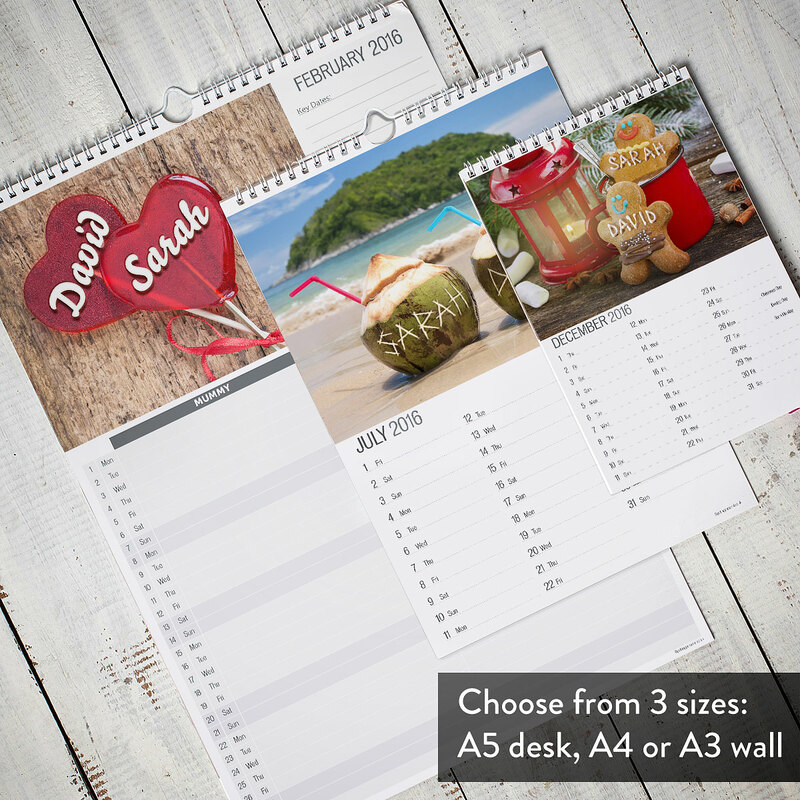 Choose a start month and a calendar size, so whether you want to hang it in the kitchen or keep it on your desk, it's sure to ensure they never double book again!